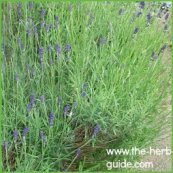 The lavender herb is a good value addition to any garden, whether you have a full blown herb garden or not. 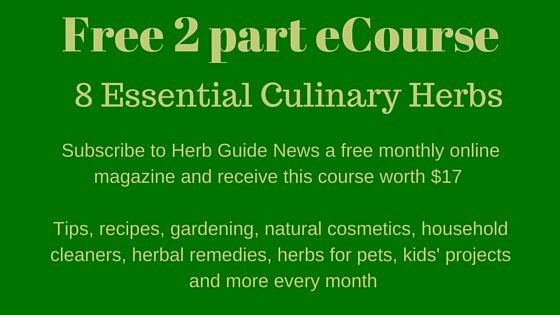 It is perennial and evergreen as well as having an abundance of fragrant flowers in the summer. It attracts bees in vast quantities during the summer which is good for the rest of your plants as they pollinate. 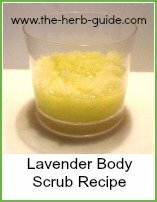 Some ideas of using the lavender herb as a herbal remedy and cosmetic uses are here. 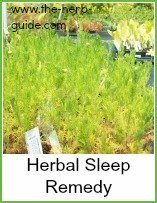 It is useful for easing headaches, anxiety, burns of all kinds and relieving insomnia. It makes a good hair rinse and scents bathwater - aids sleep if you put it in a bed time bath. You can also use it to flavor biscuits, cakes, ice creams, vinegar, marmalades and jams. 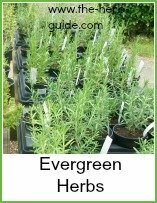 Lavender is easy to grow - you buy plants, take cuttings or grow from seed. The varieties are numerous, many colors from pale lilac to deep purple - some small, neat flower heads and some huge fluffy things. The fragrance is wonderful - just brushing past the plant will release the aroma and it lingers for a long time. They grow best in a well drained soil and like sun. I have some in my back garden which faces north east and some in my front which faces south west - they can be about 2 weeks apart in flowering. They make an excellent low hedge around flower beds also, plant some around your vegetable patch so that the bees can help you out. It is easy to strike cuttings in mid to late summer so that you can increase your stock - that way you only need one plant to begin with. Problems are few if you have some stock plants - they may get leggy if you don't trim them back but will normally recover from a hard pruning if necessary. There is a superb video below from Expert Village showing you how to prune lavender from year one through to three - if you follow this plan, you should get hundreds of spikes for decades!